This special tool was created in response to a special request received. 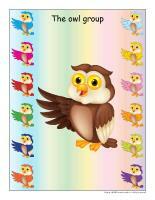 (Open group identification-Owls) Print and display in a specific location or in your circle time area. (Open Poni discovers and presents-Halloween) Print the cards. Laminate them and cut them out. Use a Poni puppet or another puppet children are familiar with to present the pictures to your group. 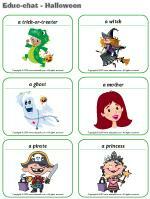 (Open educa-circle time-Halloween) Print the questions and the giant word flashcards. Laminate them. Deposit the questions in a box and spread the word flashcards out on a table, in front of your group. Also print the "It's my turn" card. Laminate it and glue a Popsicle stick behind it. This card will help children respect the child whose turn it is to speak. You may also use a puppet or stuffed animal related to the theme. The questions will help children develop observational skills, their vocabulary, etc. This tool will help you lead circle time discussions with children of all ages while exploring your theme. (Open giant word flashcards-Halloween) Print, laminate, and display the word flashcards on a wall in your circle time area or on a large cardboard that can be moved around. Children take turns identifying words. Circle time is a very important part of the day. Make sure it represents a group activity, a discussion period, a transition, a calm period, and the period used to introduce the theme of the week or day. One suggestion for the Halloween theme is to display drawings of costumes children plan to wear for trick or treating. One at a time, throughout the week, they can present their drawing to the group. What is special about Halloween? What are you afraid of (the dark, monsters, insects, etc.)? What will you dress up as for trick or treating? What is a witch? A ghost? A monster? Is there a kind of candy that you don't like? 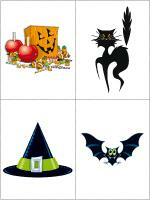 Several Halloween thematic letters are available in the educatall club. Print them and set the stage to introduce the letters to your group. Each day, place a letter in a special envelope and hide it within the daycare. When children find the letter, read it to them and complete the suggested activities with them. (Open educ-chat-Halloween) (Open giant word flashcards-Halloween) Educ-chat is a game which includes several illustrations representing subjects, verbs, and predicates. Use it to help children make complete sentences and add to their vocabulary. Print, cut out, and laminate the cards. Make three piles (subjects, verbs, and predicates). Have children pick three cards, one from each pile, and "read" the sentence. The sentences will sometimes be quite silly, that is what makes this activity so fun! You can also choose to place the cards yourself and have a child "read" the sentence. Using orange tape, transform your circle time area to make it look like a large pumpkin. 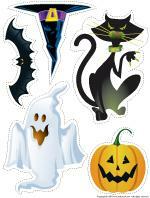 Provide children with Halloween stickers and have them stick them on the floor. Add orange lights and a Halloween garland you made with the group with black and orange construction paper. Hang pumpkin, witch, bat, and ghost shapes from the ceiling. Cut a wreath shape out of cardboard. Have children paint candy pieces on it. Make Halloween decorations with your group. Give each child a tree branch. Have them decorate a clean, empty can. Fill it with sand to support the branch. Each child will have his/her very own Halloween tree. You may also choose to make one large collective tree using a larger branch placed in a bucket filled with sand. The branches may be painted and you can even add sparkles. Hang all the Halloween decorations children make in their tree. Purchase a paper tablecloth. Cut Halloween designs or items out of magazines and flyers. Have children glue them on the tablecloth. You will have a perfect tablecloth for your Halloween party! Cut several strips of black and orange construction paper. Link them together, alternating colors. Hang the garland from the ceiling. Make a ball with one Kleenex and place it in the centre of another Kleenex so it looks like a ghost head. Tie ribbon or string around the head and hang from the ceiling. Children will enjoy making several of these. These ghosts are a very simple decoration to make! Gather old clothing items (shirt, pants, shoes, hat) and stuff them with fabric or other clothing items. Use a pumpkin for a head. You can use clothing from your costume box. Sit your scarecrow on a chair, indoors or outdoors. Join four pipe cleaners together in the centre so you have eight spider legs. Attach elastic string to the middle of the body. Children will love holding the end of the string and making up and down movements to make their spider dance! 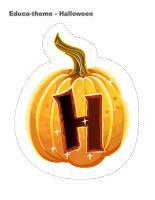 (Open educa-theme-Halloween) Print and laminate the letters and illustrations that represent the theme. They can be used to present the theme to children (and their parents) while decorating an area within your daycare. 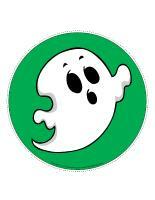 (Open educa-decorate-Halloween) Print, laminate, and cut out. Use the illustrations to decorate the walls of your daycare and set the mood for the theme. (Open banner-Halloween) Print and laminate. Use the banner to decorate your daycare. 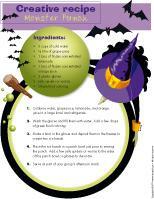 (Open educa-numbers-Halloween) Print and laminate the posters. Display them on a wall to decorate your daycare throughout the theme. 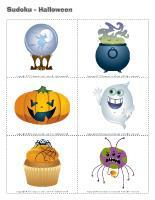 (Open educa-letters-Halloween) Print and laminate the posters. Display them on a wall to decorate your daycare throughout the theme. (Open Halloween string) Cut out the models. Deposit them on folded pieces of paper and cut them out, avoiding the edges. When you unfold your sheet of paper, the shapes will form a decorative chain. The pictures may be used as a memory game or to spark a conversation with the group. Use them to decorate the daycare or a specific thematic corner. (Open picture game-Halloween) Print, laminate, and store in a "Ziploc" bag or in your thematic bins. 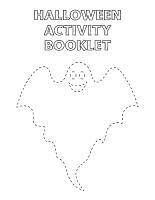 (Open Activity sheets-Halloween booklet 2013) Print and follow instructions. (Open educa-connect the dots-Halloween) Print and laminate. Children must connect the dots in the correct order to reveal the drawing. They can color it when they are done. (Open stationery-Halloween) Print. The stationery can be used to communicate with parents, in your writing area, or to identify your thematic bins. 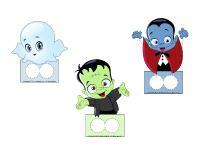 (Open felt board-Halloween) Print the shapes and glue them on felt. Stick four pieces of black felt on a large piece of cardboard and display it on a wall. The shapes will stick on your black felt board. Children will enjoy inventing stories and scenes. 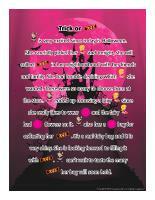 (Open picture clue story-Trick or treating) Print. Sit in a circle with your group. Begin reading the story, pausing every time you reach a picture clue. Point to the picture clues and encourage children to guess the missing words. 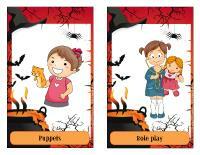 (Open finger puppets-Halloween) Print and laminate the puppets and cut out the hole through which children can insert their finger. Children will enjoy creating stories and scenes with the puppets. 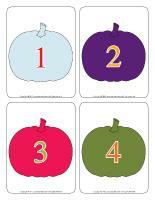 (Open sequential story-Pumpkin) Print and laminate the sequential story. Have children place them in the correct order. (Open ghost town scene) Print, laminate, and cut out. Children use the items to create scenes. 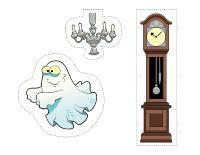 (Open haunted house scene) Print, laminate, and cut out. Children use the items to create scenes. (Open colourful pumpkins) Print several pumpkins and use them to create a path that leads to the areas children frequently visit throughout the day (cloakroom, bathroom, table, etc.). (Open my ghost path) Print several copies and use the illustrations to create a path that leads to the areas children frequently visit throughout the day (cloakroom, bathroom, table, etc.). (Open trick or treat candy) Print the candy pieces and secure them on the floor using adhesive paper to create a path that leads to the areas children frequently visit throughout the day (cloakroom, bathroom, table, etc.). Have children walk on the candy pieces to go from one area to another. (Open Game-This is my spot-Halloween) Print two copies. Laminate and cut out the cards. Glue one copy of each card on the table using adhesive paper. Drop the other copies in a bag. Children take turns picking a card to determine their spot at the table for the day. You may also use the cards to determine naptime spots or for your task train. Dress up as a witch to serve lunch to your group and give food items silly Halloween-related names. You may also choose to play Halloween music or sounds and turn the lights off. Light a few battery-operated candles. Take advantage of your various routines and transitions to practice your Halloween songs. (Open workshops-Halloween) (Open workshops-Halloween-mini) Print and display to identify your various workshops during the weeks leading up to Halloween. Monster, robot, or other types of masks. Children will enjoy parading them in the daycare or outside. Have parents bring various clothing items to the daycare to add to your costume box. Give children flashlights. Close the lights and curtains to make the room as dark as possible. Encourage children to walk around the daycare and observe objects with their flashlight. Purchase small glow in the dark stars and moons. Glue them under a table. Cover the table with a large blanket to create a dark house. Allow children to go into the surprise house to discover the stars and moons. Repeat the activity using stickers which do not glow in the dark. Children enter the surprise house once again with a flashlight to discover the new surprise. Use small plastic or construction paper pumpkins. Hide them throughout the daycare. When you give the signal, children search for pumpkins. To ensure each child finds pumpkins, tell children to collect pumpkins one at a time. 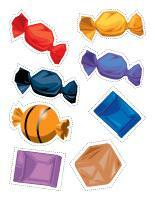 (Open game-candy) Print and cut out enough candy to ensure each child has at least ten. Place all the candy in the centre of a large parachute or blanket. Children hold on to the edges of the parachute or blanket. On the count of three, raise the parachute. When the candy falls to the ground, children try to collect as many candy pieces as possible. Count how many each child has. (Open models-Halloween) Trace, cut out, and glue Halloween shapes on the floor. Children hop on the shapes to move around the daycare. Make a magic wand by wrapping a stick with aluminum paper. Have children name Halloween items or characters. For example, a child may stand in front of you and say, "Bat." You cast a spell on him with your magic wand and the child then pretends to be a bat. If a child does not have a suggestion, take it upon yourself to transform him into a ghost, a witch, a pumpkin, etc. Keep going until all the children have been transformed. Have everyone sit down and start over again! 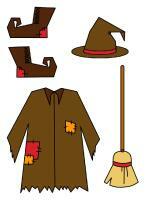 Use your magic wand and ask children to imitate the character they will be dressed as for Halloween. Give each child a ball of yarn. Tie the ends to different items in the daycare (chairs, furniture, etc.). Children become spiders and spin a giant spider web by unravelling their ball of yarn in every direction. Divide your group into two teams. Each team stands on a line so they are facing the other team. Deposit a small pumpkin halfway between the two teams. Give each team member a name (spider, bat, witch, pumpkin, etc.). Make sure two children from opposite teams have the same name. When you are ready, call out one of the names, "witch" for example. The witch from each team runs to the center and tries to grab the pumpkin and bring it back to his/her team. You will need a small pumpkin, one that is as round as possible. Have children sit in a circle. The child holding the pumpkin must say, "Roll little pumpkin, roll to witch (or sorcerer)..." and complete the sentence with another child's name before rolling the pumpkin to him/her. If you prefer, use an orange ball. Have children get down on all fours in a crawling position. Encourage them to round their back and push their buttocks back while breathing in, and then return to their starting position while breathing out. Invite them to repeat the exercise several times. This is an excellent stretching and relaxation exercise. Set up an obstacle course and have children complete the course while holding a broom between their legs. With your group, identify items within your daycare that are white like a ghost, black like a cat, or orange like a pumpkin. (Open game-pumpkin) Print, laminate, and display on a wall. Like in pin the tail on the donkey, blindfold one child at a time and encourage them to try to place the pumpkin nose as close to the right spot as possible. (Open lacing-Halloween) Print, trace onto cardboard, and cut out. Punch holes around the edge of each shape. Children enjoy lacing the shapes with yarn or a shoelace. 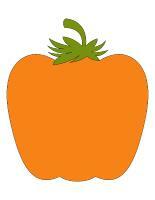 (Open pumpkin family) Print, cut out, and laminate. Children must assemble the pumpkins by gluing the eyes, noses, and mouths in the right places. Have children close their eyes. Drape a white sheet over one child. Children open their eyes and guess who the ghost is. You will need five pumpkin buckets. Line them up and draw a line on the floor, a few feet away. Have children stand on the line. Wrap bean bags with Halloween-themed wrapping paper or decorate them as you wish. The goal of the game is to toss the bean bags into the buckets. You can attribute a certain number of points to each bucket if you wish. Variation: Instead of using bean bags, you can use small bones (for dogs) to transform this activity into a skeleton toss. (Open Twister-Halloween) Print and secure the large illustrations on the floor using adhesive paper to create a 4 ft x 4 ft playing surface. Arrange the cards in two piles, Halloween illustrations and body parts. The leader of the game picks one card from each pile and gives the other children instructions as in the traditional Twister game. For example, he/she might say, "Place one hand on the pumpkin." Variation for younger children: Simply use the illustrations to decorate your daycare or for a simple recognition activity (ask children to identify the witch). You may also secure them on the floor. Little ones will love crawling over to them to admire the pictures. (Open skeleton) Print and assemble the various parts. You can also laminate them for durable, eco-friendly use. Blindfold a child and invite him/her to try to stick the skeleton's heart as close to the correct spot as possible, just like in pin the tail on the donkey. Have children sit in a circle and pass a tiny pumpkin around the circle, but without using their hands. They can use their neck or chin. If a child drops the pumpkin, he/she must sit in the centre of the circle. Play music and have children dance around the daycare. You play the role of a witch. When you touch a child with your magic wand, he/she becomes a statue. If you touch him/her again, he/she may resume dancing. The game lasts until the song ends. Place a hat and a variety of material (pieces of yarn, buttons, fabric, felt, etc.) on the table. Let children decorate the hat as they please. Use it to play musical hat. 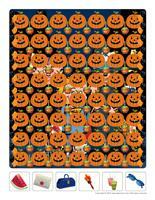 (Open colourful pumpkins) Print and arrange pumpkin illustrations on the floor. To the sound of music, invite children to walk around the daycare. When the music stops, children must step on a pumpkin. As the game progresses, remove pumpkins or give precise instructions. For example, ask children to step on a pumpkin of a certain color or to touch a pumpkin using a different body part. You will need two paper plates. Have children paint the plates with orange poster paint. Let dry. 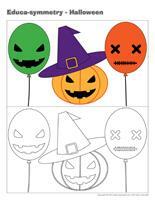 (Open pumpkin face) Print and let children use the pieces to create a pumpkin face on the plates. Pour pumpkin seeds between the two plates and staple them together. Children will enjoy shaking their pumpkin maracas. Children dance to the sound of music. When the music stops, the leader of the game (the witch) transforms the children into different animals or Halloween creatures. Children then act out the suggested role. Ask children what they like most about Halloween and create an imaginary game with their response. Sit with a large bowl and pretend it is filled with candy. Children pretend they are trick or treating. Children form teams of two or three children. One child will be the mummy. When you give the signal, the other children wrap their mummy in toilet paper. Play music. The game ends when the song stops. The winning team is the team with the best-wrapped mummy. 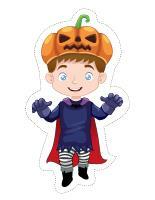 (Open dress-up dolls-Halloween paper dolls) Print and laminate. Set the pieces on a table. Children will have fun dressing the paper doll in a variety of different ways. Use a tape recorder or computer to record children. Encourage them to laugh like a witch. Later in the day, have them listen to the recording. Watch their reaction closely. Repeat the activity and have children make ghost or cat sounds. 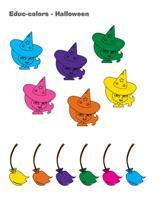 Fill a large container with witch hats (and other types of hats). Invite children to try on the various hats and look in the mirror. You may also take pictures of your group and display them on a wall. Paint each child's face to represent a Halloween creature and encourage them to look at their reflection in a mirror. If you are feeling adventurous, let children apply makeup to your forehead or on your cheek. Little ones will really enjoy this activity. (Open I can create my own monster) Print and laminate. Children will enjoy creating different monsters by mixing and matching the monster heads with the various monster bodies. 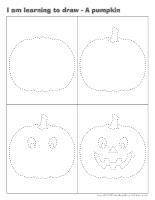 (Open pumpkin emotions) Print and laminate the pumpkins. Encourage children to name the different emotions. Organize a special dress-up corner where children can try on a variety of different costumes. Be sure to include a large mirror, various clothing items, colourful necklaces, old Halloween costumes, makeup, etc. Once all the children are in costume, parade around your daycare or down the street. Don't forget to take plenty of pictures. You will need a large cardboard box (from an appliance). Use a knife to cut out a door. Hang orange lights inside along with spider webs, skeletons, etc. Have children decorate the outside of your haunted house as part of an arts & crafts activity. Draw Halloween shapes on construction paper. Laminate them and cut them out. Glue them on magnetic paper. Let children stick the shapes on a cookie sheet to invent different stories and scenes. Invite each family to decorate a pumpkin together and leave it on display within your daycare. Number the masterpieces and have parents (or co-workers) vote for their favourite one. If you live not too far away, why not visit the Montreal Botanical Garden's pumpkin exhibit with your group? Encourage parents to join you. Tell children they are pumpkins and have them perform somersaults or roll sideways down a small hill in your yard. (Open models-creatures) Print and cut out enough creatures to ensure each child has at least ten. Place all the creatures in the centre of a large parachute or blanket. Children hold on to the edges of the parachute or blanket. On the count of three, raise the parachute. When the creatures fall to the ground, children try to collect as many as possible. Count how many each child has. 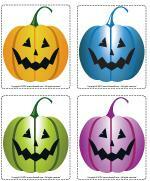 (Open colourful pumpkins) Print, laminate, and cut out the pumpkin illustrations. Arrange them on the ground to create a path in your yard (or in your daycare). To the sound of music, children walk from one pumpkin to the next. When the music stops, name a color. The child (or the children) who are standing on a pumpkin of the corresponding color can pick a Halloween surprise out of a box. Make sure each child gets a surprise. (Open models-monsters) Print several models. Have children color them. Cut them out and glue them on empty soft drink bottles. Arrange them in a triangular shape, like bowling pins. Use a pumpkin as a bowling ball and have children roll it towards the soft drink bottles to make them fall down. Fill an orange garbage bag with leaves and hang it from a tree in your yard. Let children bang on it with a stick until it breaks open and the leaves fall out. Build a haunted house using chairs and sheets. Create a path through the house with various surprises along the way. For example, you may have children walk through spider webs, plunge their hands in jelly, crawl on the floor, etc. Play Halloween music in the background. Remember to keep this activity fun to avoid scaring younger children. 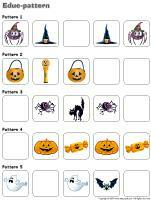 (Open Halloween memory game) Print, cut out, and laminate the pictures. Place the cards face down on the floor. Children pick three cards and invent a story in relation to the illustrations. Variation: Print the pictures twice and use as a memory game. Collect Halloween pictures (greeting cards, magazines, gift bags, etc.). Cut them into two or three pieces using decorative scissors. Give a child one piece and have him search for the others. Each child recreates his own puzzle. Trace a tic-tac-toe grid onto a large piece of cardboard. 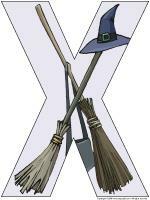 (Open game-Halloween tic-tac-toe) Use the witch brooms as "X's" and the pumpkins as "O's". One by one, children deposit a symbol on the grid. The first child to line up three identical symbols wins. (Open hunt and seek-Halloween) Print and laminate. Children pick cards and must find the elements in the scene. Play bingo with your group. 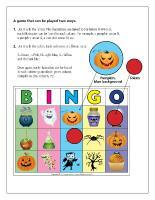 (Open game-bingo-Halloween-new version) Print, laminate, and store in a small box or "Ziploc" bag. (Open game-Halloween snakes and ladders) Print and laminate. Use a dice and wrapped candy as playing pieces. The object of the game is for all children to reach the pumpkin at the end of the game. When they succeed, they may eat their candy. Show children a bat then hide it while they cover their eyes. When you give them the signal, children search for the bat. Tell them, one by one, whether they are "hot" or "cold". When a child spots the bat, he quietly returns to sit in the circle. Continue the game with the remaining children. Children who have rejoined the circle can help you tell the others if they are "hot" or "cold". Children sit in a circle. They must look around them and, taking turns, name an object within the daycare that is orange. (Open sequential story-Pumpkin) Print and laminate the sequential story. Have children manipulate the illustrations and place them in the correct order. 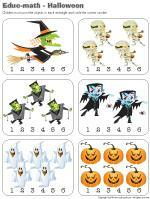 (Open game-Halloween memory game) Print two copies and cut out the illustrations. Glue them on the tops of empty frozen juice cans. Attach a magnet to the end of a fishing rod (or to the end of a stick with string tied to it). Place the illustrations face down on the floor. Children pick two. If they are identical, they may keep them and play again. If they are different, they must wait for their next turn. (Open game-spider web) Print and laminate. Children associate the spiders to the web according to their size. (Open game-haunted house) Print and laminate. Children associate the Halloween shapes to the picture. 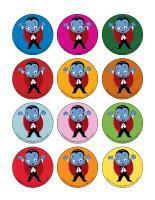 (Open educ-colors-Halloween) Print and laminate for durable, eco-friendly use. If you prefer, print one copy for each child. Children must associate the items to the correct color by drawing a line using a crayon of the corresponding color (or another crayon). (Open educa-symmetry-Halloween) Print. Children must color the bottom picture (black & white) to make it identical to the top picture (in color). (Open educ-pairs-Halloween) Print. 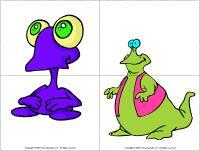 Children must draw a line between identical illustrations or color them using the same color. For durable, eco-friendly use, laminate for use with dry-erase markers. (Open Sudoku-Halloween) Print the Sudoku grid and the illustrations. Cut the cards and laminate them for durable, eco-friendly use. Children must arrange the cards on the grid according to traditional Sudoku rules. There cannot be two identical illustrations on the same vertical or horizontal row. (Open educ-intruder-Halloween) Print and laminate. Children must find the 6 intruders in the scene. (Open color by number-Halloween) Print for each child. Children must color the picture using the color code. 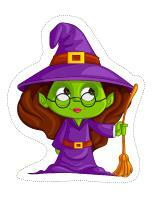 (Open educa-duo-Halloween) Print and laminate for durable, eco-friendly use. Children must draw a line between items that form a duo using a dry-erase marker. (Open educ-trace-Halloween) Print for each child. Children must trace the dotted lines using the correct color and then color each object using the corresponding color. (Open educ-differences-Halloween) Print and laminate for durable, eco-friendly use. Children must circle the differences using a dry-erase marker. 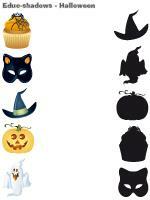 (Open educ-shadows-Halloween) Print and laminate for durable, eco-friendly use. Children must connect each object to its shadow by drawing a line using a dry-erase marker. 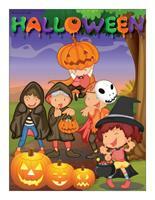 (Open educ-big and small-Halloween) Print and laminate. Children must place the illustrations in the correct order, from smallest to biggest. (Open educ-pattern-Halloween) Print and laminate. Children must complete the patterns by sticking the correct cards in the squares using Velcro or adhesive putty. (Open educ-math-Halloween) Print and laminate for durable, eco-friendly use. Children must count the objects in each rectangle and circle the correct number. 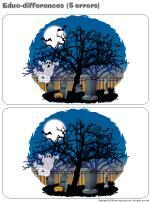 (Open educ-same and different-Halloween) Print and laminate for durable, eco-friendly use. Children must circle the item that is different in each row. (Open puzzles-Halloween) Print, laminate, and cut out the pieces. Children must arrange the pieces to recreate the scenes. (Open dominos-Halloween) Print, glue the illustrations on heavy cardboard, and laminate. This game is for 2 to 4 players. Each child picks 5 cards. Arrange the remaining cards in a stack. Place one card in the centre of the table. The first player tries to match an illustration on one of his cards to an illustration on the table. The second player does the same and so on. If a player does not have a matching illustration, he/she must pick a card. If this card cannot be played either, his/her turn is over. The game ends when a child plays his/her last card. (Open magnifying glass game-Halloween) Print and laminate the board game and the cards. Cut them out and store them in a Ziploc bag or box. Children pick a card and use a magnifying glass to locate the matching illustration on the board game. When they find a match, they deposit the card in the corresponding square, on the board game. (Open educ-association-Halloween) Print and laminate. Arrange the pages in a file folder. Children must associate the illustrations. When they find a match, they can stick it on top of the corresponding illustration using Velcro or adhesive putty. (Open game-Pumpkin count) Print and laminate. 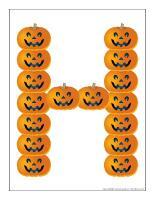 Arrange the large numbered pumpkins on a table and deposit the tiny pumpkins around them. Encourage children to deposit the correct number of tiny pumpkins on each large pumpkin. (Open game-Holidays) Print and laminate. Using Velcro, children must associate the cards to the correct holiday or celebration. Place a large pot filled with dark juice (fruit punch or grape juice) in the centre of the table. Suggest various ingredients. One at a time, children choose which ingredient they would like to add to the brew (example: cooked pasta, pudding, Jell-O, flour, modeling dough, dried raisins, etc.). Next, add water and a spoon. Have them stir their witch's brew throughout the day. You will need different sizes of clear plastic bottles. Fill them with tiny erasers, confetti, candy, and other small Halloween items. Purchase pumpkins in several different sizes. Show children how they can be rolled since they have a round shape. Let children manipulate the pumpkins. If you wish, you can also purchase different types of squash. Compare them with the pumpkins. Hide tiny Halloween objects (erasers, plastic spiders, miniature pumpkins, etc.) in your rice or pasta bin. Cut black and orange garbage bags into strips and use them to fill a large container. Hide tiny plastic insects or Halloween surprises among the plastic strips. Shred pieces of orange and black paper and use the shredded paper to fill a large container. Hide a variety of items related to the theme in the container. Purchase several small pumpkins and decorative squash in different sizes. Set a scale on a table and let children weigh the pumpkins and the squash to see which one is the heaviest. Carve a pumpkin with your group and let children explore its insides. They will enjoy touching the seeds and various textures. Cut different types of squash too. This will make it possible for children to make comparisons. Spaghetti squash are particularly interesting for children. With your group, fill latex gloves with water, food coloring, and tiny Halloween objects. Seal the gloves and set them in the freezer for approximately 48 hours. Have children tear the gloves and remove them to reveal unique witch hands. Deposit them in your water table. Children will like to manipulate and observe them as they melt away. Fill several plastic (Ziploc) bags with different items (shaving cream and orange food coloring, Jell-O, hair gel, etc.). Let children manipulate the bags. 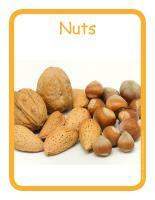 (Open educ-poster-Nuts) Print and display the posters in your kitchen area or near the table where children eat to present an everyday food item to your group. (Open recipe book-Halloween) Print. Enjoy preparing these recipes with your group. 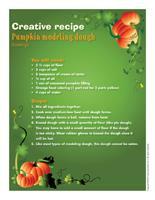 (Open creative recipe-Pumpkin modeling dough-no baking) Print. Knead the dough until it is homogeneous (you may have to add a small amount of water or flour if the dough is too dry or too sticky). Use the dough like store-bought modeling dough. 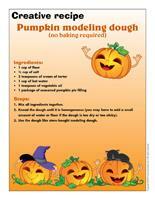 (Open creative recipe-Pumpkin modeling dough-baking) Print. When dough forms a ball, remove from heat. Knead dough with a small quantity of flour (like pie dough). You may have to add a small amount of flour if the dough is too sticky. Wear rubber gloves to knead the dough since it will be hot. Like most types of modeling dough, this dough cannot be eaten. Sprinkle orange cheddar cheese over a large tortilla. Add two black olives for the eyes and a slice of red pepper for the mouth. Microwave on HIGH until cheese is melted and enjoy! Fill clear plastic gloves with candy. Thread a plastic spider on orange or black yarn and use it to seal the gloves and create original candy bags. Prepare green or orange Jell-O. Pour the mixture in clear bowls and refrigerate. When the Jell-O is almost set, add jelly worms or spiders. Children will love their Halloween-themed snack. (Open creative recipe-Monster Punch) Print. Combine water, grape juice, lemonade, and orange juice in a large bowl and refrigerate. Make a knot in the gloves and deposit them in the freezer to create two ice hands. Place the ice hands in a punch bowl just prior to serving the punch. Add a few jelly spiders or worms to the sides of the punch bowl or glasses to decorate. Serve as part of your group's afternoon snack. (Open puppets-Halloween) Print the models on heavy cardboard. Have children cut them out and decorate them with various materials. Glue a Popsicle stick behind each character. (Open models-Halloween) Print the models. Use them as needed for your activities and creations throughout the theme. (Open mandalas-Halloween) Print for each child. Children must color the mandalas using Halloween colors (orange, black, purple, etc.). 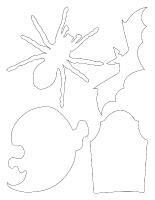 (Open stencils-Halloween) Print and cut out the stencils. 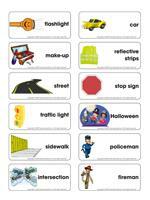 Children can use them to trace or paint items related to the theme. 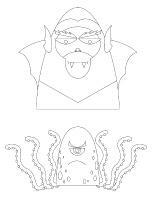 (Open Halloween 2013 coloring book) Print. (Open creative coloring-Halloween) (Open creative coloring-Halloween2) Print. (Open I am learning to draw-A ghost) Print and laminate the model. Invite children to practice their drawing technique on the model sheet. When they are ready, they can try to draw a ghost on their own. 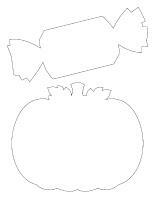 (Open I am learning to draw-A pumpkin) Print and laminate the model. Invite children to practice their drawing technique on the model sheet. When they are ready, they can try to draw a pumpkin on their own. (Open complete the drawing-Halloween) Print for each child. Children must complete the drawing as they see fit. (Open scrapbook-Halloween 2013) Print this page for each child's scrapbook. If you don't already have scrapbooks for the children in your group, visit the scrapbook section of the educatall club.